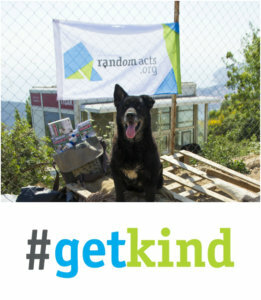 Each month, Random Acts chooses one #GetKind theme to promote, in an effort to center our supporters’ efforts on a single cause and brainstorm kindness ideas along with them. With those ideas in hand, we encourage supporters to get out in their communities and do some good — whether their act is large or small (because, of course, every act matters). 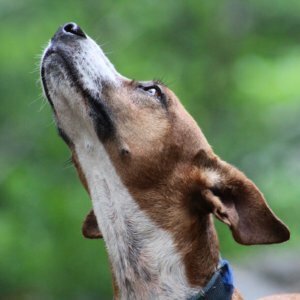 This month, we’re happy to introduce our theme, “Animals”, with the help of Senior Design Officer Sam, who works professionally with the nonprofit PETA, and a guest blog by former Social Media Officer Beverly Forehand, whose volunteer work with numerous animal shelters over the years has given her plenty to talk about. There are plenty of ways you can #GetKind for animals — and not all of those things require mountains of effort or time to accomplish. Whatever you do, Sam explains, make sure your act is something that the shelter or animal rights community actually needs, and double check to ensure that the groups to which you’re donating time, effort, or dollars are responsible causes. “[Rethink simply] donating money to [just any] shelter, since so many are “no-kill” … It might be more effective to do something that makes animals who are warehoused at shelters a bit more comfortable, like collecting used bedding for those animals … collecting large paper bags to provide some privacy to cats who live in cages at shelters, collecting and donating shelter-friendly enrichment toys, or even promoting their local low-cost spay/neuter clinics,” a CID spokesperson tells Sam. The CID also suggests collecting straw for neglected dogs in your own community. When it comes to making the world a better place for animals (and humans) the task can seem overwhelming. Everywhere you look, there’s a sad story. Although it might not seem like it, many of those stories are a chance for a happy ending. Thanks for Facebook and Twitter (and Instagram and Tumblr and so many other sites), stories that once would’ve only reached a few people locally are now being read by animal-lovers around the world. 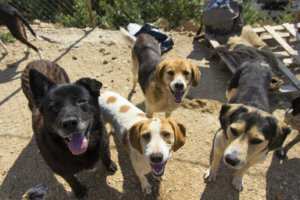 And because of it, lost dogs and cats (and even teddy bears) are finding their way home, programs like Pup My Ride are able to organize volunteers nationwide to transport homeless pets to their forever homes, and people around the world are able to reach out to support the animals and people affected by global disasters. Volunteer at a local rescue or sanctuary. Your community shelters and sanctuaries need you! Sign up to walk the dogs, pet the cats, or get hands-on at a local shelter and clean animal living areas whenever necessary. Most nonprofits rely on volunteers so that they can use the money that would be spent on employee labor to help the animals. If you’d like to help out but you don’t feel like you work well with animals, you can always offer to work in the front office or at animal fairs. Volunteer your talents. Even if you can’t volunteer your time or money to a local shelter, you can still support them by offering to donate your skills. Photography, marketing, writing, accounting, and even office skills like filing are needed. Groups like VolunteerMatch connect charities with the volunteers who need them. Donate supplies. Many animal groups have wish lists that range from pet food and toys to cleaning supplies to gently-used towels, carriers and (as CID pointed out above) bedding. Don’t forget to sign up with AmazonSmile. This program allows you to donate a small percentage of your Amazon purchase total to a charity of your choice (including Random Acts). Spread the word. It might seem like a small thing, but a like or a share can save an animal’s life. Consider devoting a few posts or tweets each week to messages of hope. 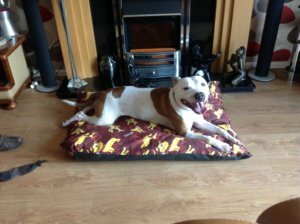 Share that pic of a cute pup looking for a home on Facebook. Retweet your favorite animal charities’ fundraising messages. And ask your friends to do the same! Start your own shelter/sanctuary (responsibly, of course). Look for opportunities to help the feral and community critters near you. Stray animals are everywhere once you take the time to look, and providing food, water, and shelter can be the difference between life and death for some animals. Stuck on where to start? National organizations can also offer help (check out Alley Cat Allies if you’re a cat person! ); Make sure to get friends involved in winterizing feral colonies or makeshift shelter areas too. Shop kind. Even if you aren’t ready to become a vegan or even a vegetarian, consider skipping meat for a single meal or for one day a week. By doing so you’ll be reducing the number of animals who suffer as part of the meat and dairy industry. You can also support local farms that you know allow their animals a free-range lifestyle and companies who promote ethical treatment of animals and their employees. Steer away from companies who aren’t upfront about how they treat animals or people. Companies with a commitment to ethics usually include it on their website and are more than willing to tell consumers about their practices. Wild critters need love too. Most people think first of domestic animals like dogs and cats when they think about helping animals. But your local “critters,” including birds and bees, could use a helping hand too. There are simple ways you can support local wildlife like planting for bees and birds (and raccoons and ‘possums,) offering water with a bird bath or water basin, and choosing native plants that support local creatures. Are you ready to help Random Acts do some good for the world? Don’t forget to share your acts with us on social media using the hashtag #GetKind! We can’t wait to see what you’ve got planned! Beverly Forehand is a freelance writer, editor, and social & digital media marketer living in Nashville, Tennessee, and has been an active volunteer with animal rescue agencies and working with foster cats since she was 17. She has published a pet recipe book with Dawson Progressive and was previously a monthly columnist for Critter Exchange/All Creature’s Exchange, an animal advocacy newspaper. She is currently a featured writer for Barkley & Paws and helps manage a stable feral cat colony. Find her on Facebook @ Silver Moon Cat Sanctuary.